The best outdoor TV shows! 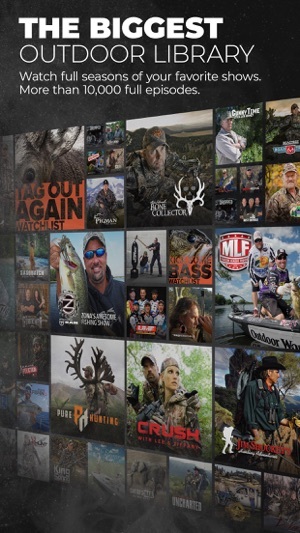 Start your FREE Trial and begin streaming from a massive collection of EXCLUSIVE hunting, fishing, and shooting programming. 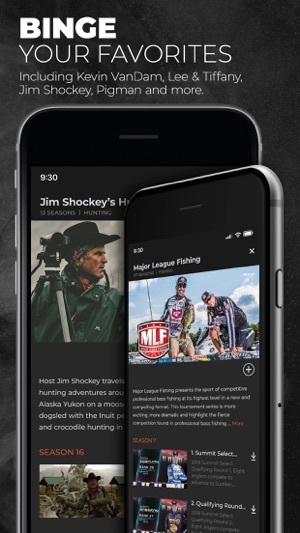 MyOutdoorTV is powered by the worldwide leaders in outdoor TV: Outdoor Channel, Sportsman Channel and World Fishing Network. 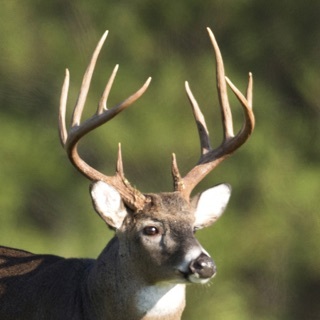 Choose from thousands of episodes, plus how-to videos and wild game recipes. Stream or download to your device and watch anytime, anywhere. Start your FREE Trial today! This app offers monthly & yearly auto-renewable subscriptions. You may cancel your subscription in your phone settings at any time. We update the app regularly so we can make your Outdoor experience better for you, including improvements for speed and reliability. 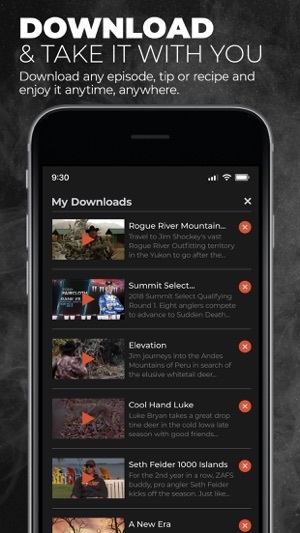 Get the latest version for all the new MyOutdoorTV features. Love the shows and quantity but the performance of the app and even the website is terrible. The app feels cheap and not up to the standards of even basic apps these days. The app crashes constantly. Using with chromecast requires constantly disconnecting and reconnecting to watch the next episode. I also cannot chromecast downloaded episodes to avoid buffering or crashes. The app should easily be able to let you continue watching from where you left off. Not only does it not show you where you left off but it defaults to the most recent season. Why wouldn’t your watchlist and favorites be the first thing you see? Instead it is the networks shows they are pushing. I shouldn’t have to navigate through multiple menus every time I want to watch a show. The website also seems to almost slow to a halt during peak hours which means for all those $10 fee’s they aren’t using enough servers. The website also consistently crashes or has a network error despite my internet working fine. For this type of monthly fee the app and website should be flawless. I really expected much more for the premium price. Thank you for the feedback. We continue to work to improve the web site and the apps. Please contact us at support@myoutdoortv.com, so we can address each of your concerns and can troubleshoot technical issues that can be resolved. Thank you. I never review anything, but I’m tired of putting up with the issues. I have an iPhone 7plus with 11.2.6 update. First, why is the Sign In button so small and out of the way, but the Create an Account so large and centered? Once I sign up, I feel second class. For $10/month! Second, why is My Favorites hidden in the menus, and why does it always auto populate with shows I haven’t watched or favorited? It should be more prominent on the main screen and actually do its job of saving my couple favorites. Third, every time I try to read an episode description, the screen jumps down and I have to try and find the description again. Fourth, the screen NEVER rotates once I play. I use the physical volume buttons on TOP, because when i try to use the screen volume, the screen darkens out and I miss the part I’m trying to listen to. I have to hold my phone in the orientation I want it to play just to get the screen rotation I want. For $10 a month, I expect much better than this! The content is good, but the player is broken! Hello, we apologize for the inconvenience. We have a bug affecting the current version of the iOS app that is inaccurately populating the favorites section on the app. We hope to have an update soon to correct this issue. The screen should rotate to landscape mode when you press a play on an episode, is this the orientation you are wanting? Please email us at support@myoutdoortv.com and we can help you troubleshoot. 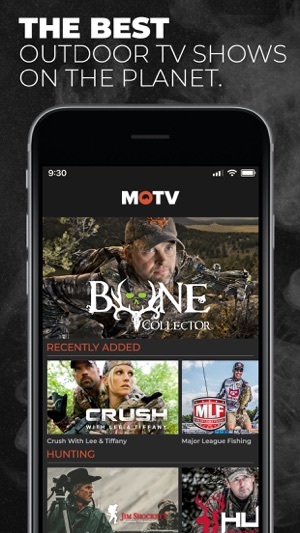 I mean great app for all hunting shows! I have been looking for something so I can watch my hunting shows on the go! The app needs a lot of improvement! I think the price point needs to be lowered for the problems the app has! It is a good app! The thing I hate about it the most it does not save my point in the show, where I exited out of the app! Then when I go back into the app! I have to find the show I was just watching, then I have to find my exact spot I was at in the show! I really don’t like having to do that every time!! Please fix! Lower the price till the app gets fixed! I mean Netflix has way more shows and charging 2 bucks cheaper! I mean come on guys, not really everyone is going to pay for an app that is no where close to top of the line! Also still deal with 10 minutes of sponsorships! So if this stuff don’t get fixed you will loose a customer!